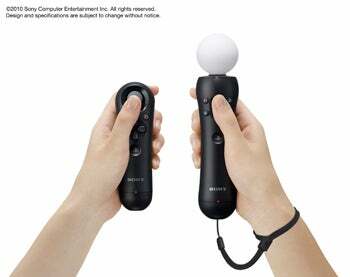 Playstation Move: Motion Control for Whom? Sony's upcoming motion controller finally has a name--the PlayStation Move--and it looks like a pair of aircraft traffic wands with glowing blue and pink bulbs on the ends. The company announced the name during the 2010 Games Developer Conference before proceeding to demonstrate several games and inviting attendees to give the technology a spin for themselves. The buzzword throughout the presentation: Precision. From SCE Worldwide Studios President Shuhei Yoshida's inaugural lines ("A more precise, immersive, and responsive game experience") to SCE Senior Vice President of Marketing Peter Dille's use of the word over a dozen times thereafter, it sounds like Sony plans to square off against Nintendo and Microsoft by leveraging the Move's fine motor tracking capabilities. When it ships this fall, Sony says the Move will sell in three configurations: A version with just the Move wands for those who already own the requisite PlayStation Eye camera, another option with the Eye, the Move wands, and a game, and a full bundle to include the Eye, Move wands, a game, and the PlayStation 3 console. The "Eye, Move wands, and game" option should sell for "under $100," said Dille. The company then demonstrated several motion-control games, starting with a medieval sword-and-shield beat-em-up. From right or left hand slashes to shield blocks to a hands-behind-your-back stance that triggers taunts, the Move--tracked by the Eye--appeared capable of deftly processing every gesture and angle. Table tennis was up next, and Sony demonstrated how subtle shifts in wrist rolling or pitching could produce any of the effects a physical paddle would, from harder or softer hits and various types of spin to near court swats and far court slams. Covering the family angle with a game that looked suspiciously like an EyeToy demo, Move Party used the PlayStation Move to "augment" reality by placing you--literally, as in a video stream snapped with the Eye--in micro-arenas with changing motion-related challenges. First, the demonstrator's Move wand became a tennis racket (or as Sony described it, the racket was "augmented onto" the controller) to swat objects that appeared around her. Next, the Move became a paint brush and the demonstrator had to color in shapes without going outside the lines before a timer ran out. At one point, the Move wand even morphed into a portable hand-fan, the demonstrator yawing her wrist to redirect airflow and guide falling baby chicks into nests on either side of the display. Existing games were also shown using slight Move modifications. A cooperative-angled demo of LittleBigPlanet allowed one player with a regular PS3 gamepad controlling the onscreen character to play in tandem with a second player, who used one of the Move wands to manipulate the environment and ease progress. In a surprise move, the company trotted out a complementary product it calls the "sub-controller" (see pic above). Think Nintendo's nunchuk, because that's what it is--an analog thumbstick with buttons you hold in one hand while waving one of the Move wands in the other. Sony noted you can play "all the way through" SOCOM 4 (shipping this fall) using a Move wand and the sub-controller. Dille called the PlayStation Move Sony's "biggest effort of the year" and noted the company plans a major marketing push, so brace yourself for TV spots, retail promotions, public relations campaigns, billboards, and who knows, probably some stealth-viral stuff rattling around out there too.